The first seeds of the club was sown in 2007-2008 following discussion among Er.Ajith Kumar , Adv.Philip Thengumcheril and Adv. K.V.Sunil Kumar . These three were keen in setting up an exclusive club in Pathanamthitta and explored ways in which a club can be set up .A blog page was created at wordpress.com under the banner pathanamthittaclub .wordpress.com .An email id was also provided for communication.The informal gathering of the friends gained momentum and a formal organization was inevitable. 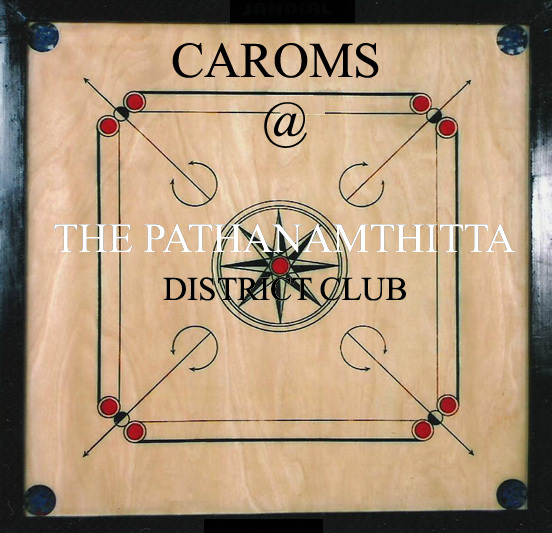 It was felt that the eminent citizens of Pathanamthitta needed an elite family club and it could not wait any longer. Friends Mr.K.C Chacko , Mr.Jose Samuel, Mr.George Daniel, Mr.Samson Isaac , Mr.George Thomas , Dr.Rajesh V, Mr.Presannan Nair and Mr.Ani Mathew were roped in as Charter Members along with the three progenitors mentioned above. The group got together several times . After much deliberation and homework in 2011 , a Bye Law was drafted. 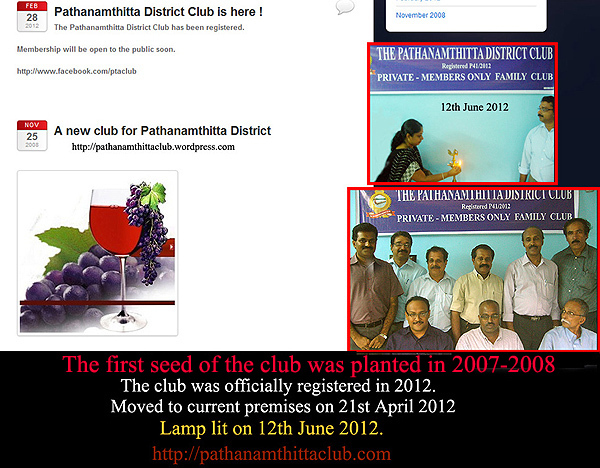 The moment of truth had arrived and the group of friends officially signed the Memorandum of Association .The Pathanamthitta District Club was formally registered on 15th February 2012. Er.G.Ajith Kumar was elected as the Charter President , Adv.Philip Thengumcheril as the Charter Secretary and Mr.George Thomas as the Charter Treasurer. Mr George Daniel was elected the Vice-President and Mr,Samson Isaac , the Joint Secretary. The others were Members of the Director Board. The Club set up its office at the current building at Churulicode on 21st April 2012. The lamp was lit on 12th June 2012 . Since that wonderful moment , there was no looking back. Today, the club is bubbling with enthusiasm and throttling with energy. The club has an awesome array of members and its membership is a matter of pride.